Every year on July 16th, Carmelites throughout the world celebrate the Feast of Our Lady of Mount Carmel, patroness of the Carmelite Order. If you want to know how we feel about Mary, our Mother, spend a few minutes reflecting on one of the most beautiful prayers ever written, the Flos Carmeli. Most of us pray – before meals, morning and/or night prayers, many people pray before a trip, and at Mass, of course. Yet, for all of us, there are times in life when we really pray, I mean, a sincere, heart-gripping, heartfelt prayer, a prayer filled with faith and yearning and pleading, a prayer of love. Often something very important is a stake and the prayer takes on a great importance within the whole situation. When “push comes to shove” as the saying goes, we Catholics know how to really pray our prayers from our hearts. And down on our knees, we go! Still, many of us, if not the majority of us, do not pray with such intensity every single day. It wells up within us in only during times of suffering, crisis, and confusion. The Flos Carmeli is a Carmelite hymn and prayer. Flos Carmeli is Latin for “Flower of Carmel” and was first used as the sequence for the Feast of St. Simon Stock. 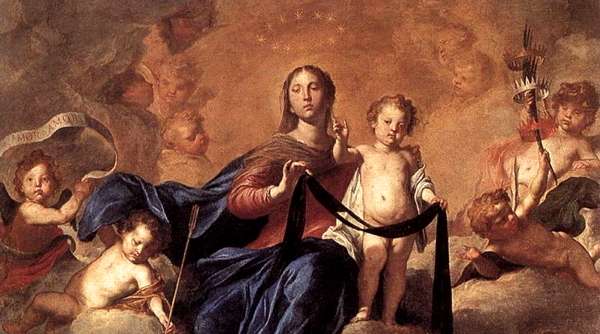 Beginning in 1663, it became the sequence for the Feast of Our Lady of Mt Carmel. It is said to have been written by St. Simon Stock himself (ca. 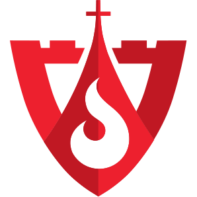 1165 – 1265). The prayer is taken from the first two stanzas of the sequence. Oral tradition tells of St. Simon Stock praying with a passionate intensity to Our Lady of Mt. Carmel during a time of great distress and hardship for the Order. With fervor and faith, he prayed for the first time the Flos Carmeli prayer which he wrote. And Our Lady answered that prayer. Thus, for seven centuries the Flos Carmeli continues to be prayed to the Blessed Mother with the firm faith that she will answer its request with her powerful help. The prayer below is from the first two verses of the longer sequence. I must admit that I love the prayer and pray it often. Mother and Beauty of Carmel, Pray for us! 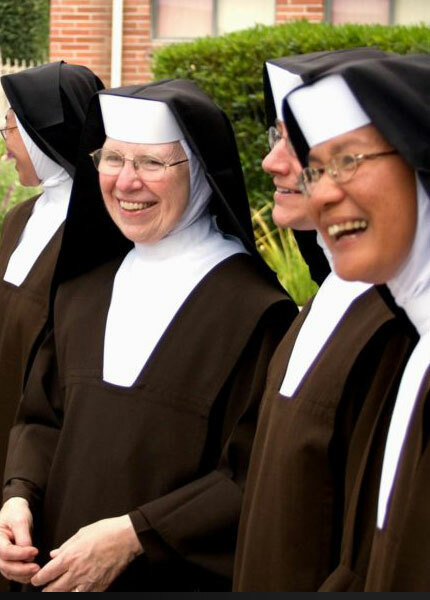 Post from the website of the Carmelite Sisters of the Most Sacred Heart of Jesus of Los Angeles. Used with permission. Art for this post on Flos Carmeli: Our Lady of Mount Carmel, Pietro Novelli, 1641, author’s life plus 100 years or less, Wikimedia Commons.